Microalgae are being used to produce Omega-3 – a fatty acid - widely used as a dietary supplement. But what process is required to cultivate them outside of their natural marine habitat? Biologist David Suárez is a microalgae expert. 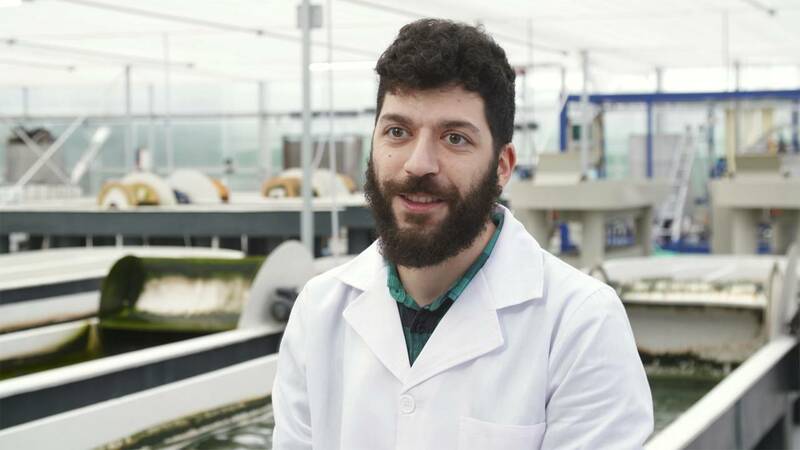 At a greenhouse in northern Spain, he explained the conditions these tiny microorganisms need to thrive. "Firstly, we sterilize the water completely. It is completely cleaned up and it then goes through a process of treatment with ultraviolet sources to eliminate bacteria and fungi. Finally, it´s filtered so we can remove remaining particles or other big substances that could hamper the development of the microalgae. We also need to adjust the water PH levels before we transfer the microalgae cultivation. Each microalga needs a specific PH to develop its growth in the early stages so we need to prepare the water before each microalgae species is inoculated in the water. Our main challenge is to make them adapt to the very changing light and temperature conditions that we have here in northern Spain. To help them cope with that, we change different parameters at different stages of the cultivation. For instance, we change the nutrient levels. We also manage the density of the microalgae population in the water. By reducing the number of individuals in the tanks, and thus better understanding how each species react to that reduced density. Hopefully, you can expect that more microalgae will be able to adapt to the conditions we have here."